Our clinical services are provided by a team of highly-qualified and experienced nurses and advanced providers who are dedicated to help you attain your personal, academic and life goals. Our team collaborates to offer you the most comprehensive care on-campus and also has access to a large network of community healthcare providers off-campus who accept referrals. Health and Wellness Services provides you many on-campus low or no-cost services, including: physical assessments, laboratory testing, immunizations, illness and injury treatment. Limited online scheduling can be accessed by using this Medicat Patient Portal link to login. Physical, foreign travel and TB screening appointments can only be made by contacting the H&WS office directly. 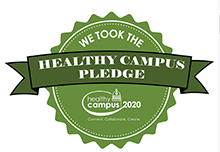 Health and Wellness Services offers a number of programs designed to promote and support the well-being of the campus community. We’ve assembled contact information for all of your emergency, after-hours or primary care needs. You’ll also find information on local pharmacies, and a wealth of self-help health and wellness resources. All current students are required to have a health insurance plan and file it with Health and Wellness Services. A health fee of $125 per semester is assessed every student for general services provided in Health and Wellness Services including basic counseling services and access to the state-of-the-art fitness center and pool. Wet, lather, scrub, rinse and dry – follow this proper technique. Can it be prevented? How is it spread? What are the signs and symptoms? What are the treatment options? Health and Wellness Services challenges the St. Norbert College community to integrate the Eight Dimensions of Wellness personally and collectively to create a culture of health.